Jenny is a Principal of the firm and is the head of our trade marks department. Jenny holds a Bachelor of Laws and a Bachelor of Science with Honours in Biochemistry, both from the University of Queensland. 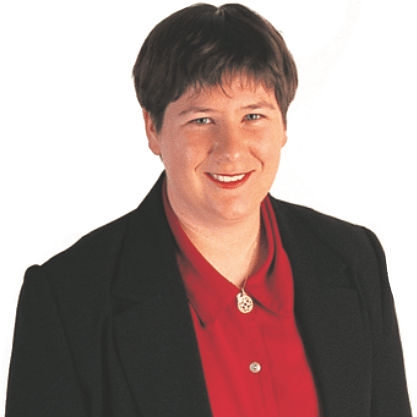 Jenny is an Australian Registered Trade Marks Attorney and is also permitted to practice in New Zealand before the New Zealand Trade Marks Office. Jenny previously practised as a Solicitor in the field of Intellectual Property, during which time she gained experience in a variety of IP fields. Jenny has substantial expertise in all facets of trade mark practice and procedure in Australia and New Zealand and has comprehensive experience in the filing and prosecution of trade marks internationally and domestically. Jenny also has substantial experience representing clients in opposition procedures before the Trade Marks Office. Jenny’s background in science and the technical aptitude that this affords, means that she enjoys acting for clients from a diverse range of industries. In addition Jenny’s litigation background and experience as a Solicitor enhances her ability to provide commercial solutions for her client’s trade mark concerns.